Notes: Immigrant from southern Europe, appearing in southern England: up to 1980, there were about 18 records, all in September and October, between 1980 and 2001 over 100 specimens were recorded. 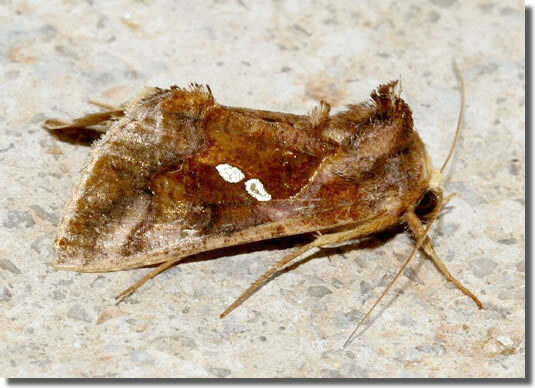 In 1977 and 1978 some 20 larvae or pupae were found on house plants imported from the Canary Islands and Kenya. In Hampshire and on the Isle of Wight seven immigrants have been recorded to date, three from Freshwater, two from Highcliffe, and one each from Warsash and Crawley. Wingspan 33-44 mm. 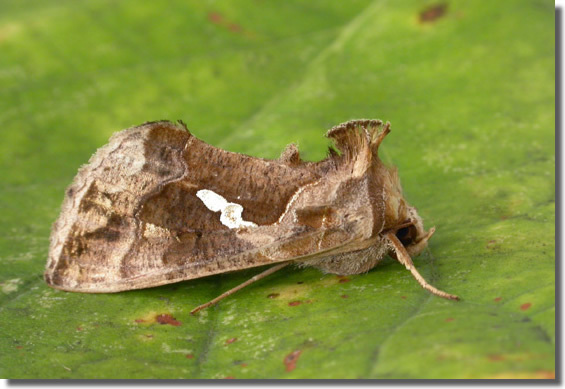 The most likely confusion species is Tunbridge Wells Gem C. acuta, which see for differences. Larva feeds on a wide variety of plants, causing sufficient damage to be a serious pest in some areas, no evidence of breeding in the UK.